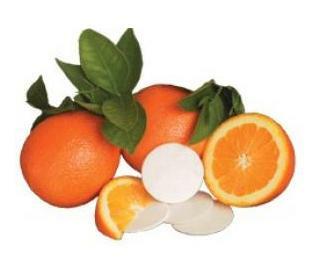 Citrus Circles odor control disks are amazingly effective. They don’t just cover up odors they actually absorb them; great for diaper hampers. Citrus Circles odor control disks are amazingly effective. They don’t just cover up odors they actually absorb them. Not only are they great for diaper hampers, they also double as a room freshener and can be used for many other stinky situations, like near kitchen and other garbage pails, cat litter boxes, basements, bathrooms, old cars, stinky sneaker closets and much more. Citrus Circles are nontoxic, but of course they should not be ingested. They are made from food grade paper soaked in a blend of essential oils, making the delicious scent both sweet and spicy. Although only 2 inches in diameter, they are potent and should last 8 weeks before needing to be changed. They are designed to fit in the lid of the flip-top diaper hamper.